Episode 26: The disciples ask Jesus “Are you at this time going to restore the kingdom to Israel?” They were looking for a physical kingdom. Was the kingdom only spiritual, or were the disciples right to expect a physical, future kingdom? 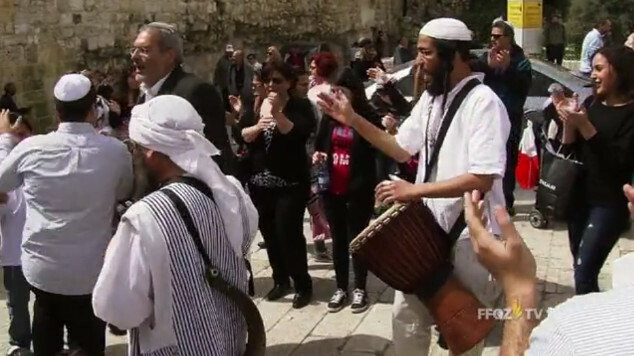 Episode Twenty-six will show the viewers that the kingdom of Messiah is not just spiritual. There is a literal, coming, restoration of the kingdom of Israel. Although we believers have laid hold of the kingdom and enjoy a foretaste of it, we have not entered the kingdom yet. It’s still ahead. 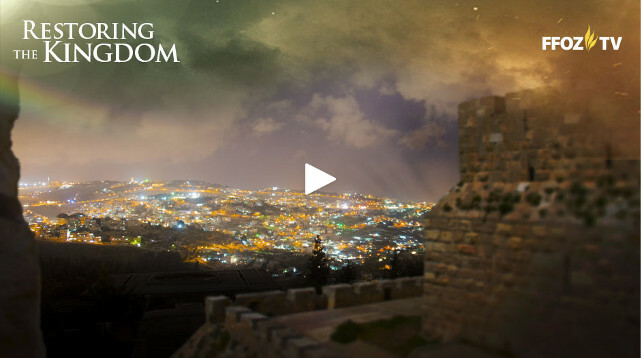 In this final episode of the first season of A Promise of What is to Come, First Fruits of Zion (FFOZ) teachers Toby Janicki and Aaron Eby address the question of exactly what is the restoration of the Kingdom of God. From traditional Christianity’s point of view, the Kingdom has often been described as being Heaven, or being the Church, or being an invisible, spiritual Kingdom, the spirit that is in our hearts. 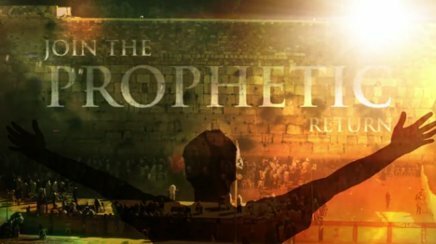 But this show uses a specifically Jewish perspective to read the Bible and understand how to interpret ancient prophesies. We can’t go only by what the words say themselves. We need to know how the original speakers and audiences in the Bible would have comprehended what was said. What did the disciples mean when they asked the following question to Jesus? It was at this point that Jesus was about to ascend into Heaven to take his place at the right hand of the Father. He was leaving his disciples on Earth. They must have been puzzled that Jesus was leaving without finishing his work. Where was the Kingdom? Why hadn’t he established it? How could he depart when there was so much left for him to do? Christian Pastors often criticize the ancient Jewish disciples for misunderstanding what Jesus taught. In the eyes of many modern believers, the Kingdom is a spiritual Kingdom, not a physical reality. But even today, devout Jews believe that one of Messiah’s major tasks is to restore the nation of Israel as a physical Kingdom on Earth, return all of the exiled Jews to their Land, and elevate Israel as the head of all the nations. This is one of the reasons why most Jewish people don’t believe Jesus could have been the Messiah. They don’t believe he was resurrected and that he died without restoring and redeeming physical Israel. Even from a believing Jew’s point of view, Jesus as Messiah left before completing his work. That means he must come back at some point to finish the job. Otherwise, he can’t be Messiah. As you may recall, the Kingdom being “drawn near” or “at hand” meant that it was something that had arrived and could be appropriated at any time. It’s like standing at a doorway of a house. All you have to do is open the door and walk inside. In this case, the message was to repent, which was what Jesus was telling national Israel to do, in order to enter the Kingdom, the restoration of Israel to be accomplished by the Messiah. The Torah, many of the Prophets, and even the Psalms, all speak of these Messianic promises, of a nation restored, a Holy people redeemed, a Land flourishing, the world at peace, all under the rule of King Messiah, Son of David. Here Toby paints a portrait of the prophesies that are continually additive, one linking to another, and to another, and to another, through the Tanakh (Jewish Bible) and across the so-called barrier between the Old and New Testaments, describing in a single, unbroken thread in the tapestry of God’s restorative and salvational plan. It was this Jewish and Biblical understanding that told the disciples of the Master what to expect and led to the question we read in Acts 1:6. The Church says the ancient and modern Jews are all wrong and that no physical Kingdom was ever planned by God, in spite of the overwhelming evidence otherwise stated in prophesy. But what did Jesus say? Here, Jesus isn’t saying that they’ve misunderstood him, or that there would never be a physical restoration, or that his Kingdom is purely spiritual. He’s saying that he wasn’t going to tell them when the Kingdom would be restored, only that it would be restored at a time fixed by God’s own authority. The Kingdom of Israel would be restored, but before that was going to happen, Jesus said they would receive power when the Holy Spirit came upon them, and with that power, they were to be Messiah’s witnesses in Jerusalem, Judea, Samaria, and to the four corners of all the Earth. It’s not that Messiah won’t restore physical, literal Israel as a Kingdom; the Kingdom above all nations, it’s only a matter of when. Clue 1: Jesus taught that the Kingdom has not yet happened. Therefore when Jesus had received the sour wine, He said, “It is finished!” And He bowed His head and gave up His spirit. But Toby says Jesus was most likely speaking of his suffering and the atonement of sins, not his entire mission as a Messiah. I agree. If Messiah’s work was finished, then where is the world at total peace? Why don’t we all act as we should? Why is there still sin? And why is there a predicted second coming of Jesus? Both Jews and Gentiles say today “Maranatha,” which means “O’ Lord, come.” Why do we say this if he has already finished everything he was supposed to do? What a mess. No wonder Biblical translation is so challenging. No wonder there is such a great difficulty in organizing the context of the Bible and how creating chapters and verses can lead to misunderstanding of the original message. But Aaron says that even though we don’t know how the Aramaic word “Maranatha” is separated, it still means the same thing: “O’ Lord, come.” Aaron believes that Paul not only acknowledged and preached about the great accomplishments of Messiah during the first advent, but longed for the Messiah’s return and all that he would do at that future time. For the Lord has ransomed Jacob. This is a key Messianic prophesy describing what Messiah will do for the Jewish people and for Israel, and describes the responsiblity of the nations to listen (and obey) the words of Israel’s King. Aaron pointed to the miracle of modern Israel’s very existence and the restoration of the Hebrew language, which had vanished for many centuries. He used Zephaniah 3:9 as a prophesy of the restoration of Hebrew, and expressed what a miracle it is for even an Israeli child to be able to read from an ancient Torah scroll and grasp its meaning. But as exciting as this all is, Israel is still in exile as long as even a single Jew does not live within her borders, and as long as it is still threatened by its enemies, and as long as it is still largely secular, and as long as there are still two foreign Mosques on the Temple Mount in Jerusalem, the most Holy place on Earth. I believe with a perfect faith in the coming of the Messiah, and even though he may delay, still everyday I pray that he will come. The modern state of Israel is a good start, but it is hardly finished. There is so much more left to do. Clue 2: Jesus had not yet fulfilled all of the Messianic prophecies. Then the son of man will appear in heaven, and all the families of the earth will mourn, as they will see the son of man coming with the clouds of heaven in power and great glory. He will send forth his angels with the sound of the great shofar; they will gather his chosen ones from the four winds, and from one end of heaven to the other. It shall be on that day that a great shofar will be blown, and those who are lost in the land of Assyria and those cast away in the land of Egypt will come [together], and they will prostrate themselves to Hashem on the holy mountain in Jerusalem. Clue 3: Jesus did not think his work was finished. Unless you think the world is as it should be and that we have peace among the nations and kindness between human beings, then you must believe his work isn’t finished either. In this final episode of the first season of The Promise of What is to Come series, I learned pretty much what I already knew. It seems silly to imagine that Jesus had fulfilled all that he was supposed to do in his first coming. The world is still a mess and still needs a lot of fixing. Unless you are prepared to throw out large portions of the Tanakh (Old Testament) and replace the content with how the Church understands the apostolic scriptures, you must believe that the life, death, resurrection, and ascension of Jesus does not fulfill all of the Messianic promises we see in the Bible. This is also where I believe embracing a Jewish understanding of those scriptures is handy. It does not require that we refactor what Jews believe as a physical Kingdom of God in Israel into some sort of spiritual environment we enter when we die. Jewish and Gentile disciples of Jesus the Messiah can all believe that what God said through Isaiah and Jeremiah and how it was understood was still true in the world of Jesus, Peter, and Paul and still is true in our world of the 21st Century of the Common Era. As I’ve said before, many of the beliefs in the modern Christian Church have their origins in the earliest expressions of anti-Semitism and supersessionism created by our so-called “Church Fathers,” and preserved by the men of the Reformation many centuries later. What was once invention and tradition created to separate a nascent Gentile Christianity from normative Judaism (that is, how the Church sees the Jewish people, modern Israel, and the ancient Messianic prophesies), is now believed to be rock solid fact. It doesn’t occur to many Christians to question any of these assumptions. The FFOZ TV show is dedicated to thoughtfully suggesting to its Christian audience that its assumptions be questioned in the light of a Jewish interpretation of Biblical truth. 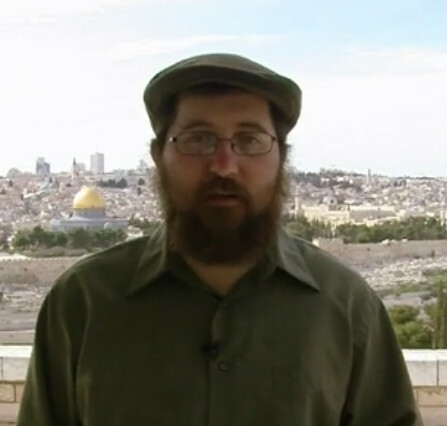 The numerous other resources offered at First Fruits of Zion and her sister organization Vine of David are designed to provide that perspective and expand upon it for both traditional Christians and the Jewish people who have yet to recognize the face of the Messiah as the Jewish face of Rabbi Yeshua in the Gospels. But even learning this does not summon the Promise of the Messiah to our world. In order to finish our own work so that he may come, we must live out those truths that have been revealed to us. Visit the sick, give charity to the poor, donate food to the hungry, act only with kindness to any person that you encounter, speak of the good news of the Messiah to a damaged and dying humanity. Only then will we be pursuing the path of our Master by participating in tikkun olam, repairing our desperately broken world. It is said that the Messiah will return only when all of Israel, all the Jewish people, keep the Shabbat as one. It is also said that the Messiah will return only when all of Israel and the world has reached a level of deepest depravity. I don’t know what to think. I only know that we introduce a tiny bit of the Messianic Kingdom into our world every time we extend a helping hand to another person. If we all committed one unasked act of kindness each day, then how Messiah-like would the world begin to appear? We wait for Messiah to return to finish what he started, but in the mean time, we can all do what we can, as we have faith in the promise.